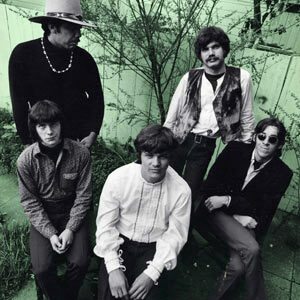 Steve Miller Band Biography, Discography, Music News on 100 XR - The Net's #1 Rock Station!!! 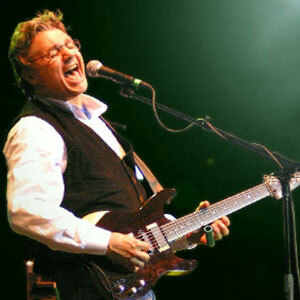 Singer + guitarist Steve Miller was born in Milwaukee, Wisconsin USA, on October 5, 1943. Many members of his family were musicians and he received his first guitar at the very early age of just four. In 1950 the Miller family relocated to Dallas where the young guitarist met Boz Scaggs and the two school friends formed their first band. Steve Miller moved to Chicago in 1964 to get involved in the local Blues scene, finally, two years later, he moved to San Francisco and put together the Steve Miller Band's first line-up with Boz Scaggs on vocals, Jim Peterman on organ, Lonnie Turner on bass and Tim Davis on drums. The group signed with Capitol Records and flew to England to record their first album "Children Of The Future", which was issued in May 1968. That same year they released a second LP, "Sailor", which peaked at #24 on the U.S. Pop Albums chart and spawned two memorable smash hits such as "Living In The U.S.A." and "Gangster Of Love". The next year Scaggs departed to begin his solo career and Peterman also left; the band recorded the second top 30 U.S. hit album, "Brave New World", with Nicky Hopkins on keyboards, this album was mastered in England where Miller recorded the track "My Dark Hour" with Paul McCartney on drums and bass, the disc included the landmark single "Space Cowboy". The band's fourth LP, "Your Saving Grace", came out before the year's end. In early 1970 Lonnie Turner quit and was replaced by keysman Bobby Winkleman; the line-up at that time was Miller, Winkleman, guitarist Wayne Moss, harmonica player Charlie McCoy, fiddler Buddy Spicher and drummer Jim Tillman. They released "Number 5" which reached the #23 spot on the U.S. Pop Albums chart. During the following two years Steve Miller with his band recorded two albums, 1971's "Rock Love" and "Recall The Beginning...A Journey From Eden" in 1972, but failed to achieve the success of their previous recordings. After a gap of nearly a year and a half, the guitarist reassembled his band with Gerald Johnson on bass, Dicky Thompson on keyboards and Jack King on drums. In the fall of 1973 the revitalized Steve Miller Band released its breakthrough commercial hit "The Joker"; the title-track hit #1 on The Pop Singles chart and pushed the album to #2 on the U.S. Pop chart. The group, featuring new members Lonnie Turner on bass, Gary Mallaber on drums and harmonica player Norton Buffalo, resurfaced in 1976 with "Fly Like An Eagle" which climbed into the top 3 of The Pop Albums chart in the United States where the disc went quadruple platinum and achieved a major breakthrough in Britain; the single "Rock' N Me" reached the top on the U.S. Pop Singles chart, the title-track crested at #2 and "Take The Money And Run" faltered just outside the top 10 on the same chart. A year later, with the addition of Byron Allred on keyboards in the line-up, the band released "Book Of Dreams", it peaked at #2 on the U.S. Top 200 LPs & Tapes chart, selling over three million copies and spawned the top 10 smash hit single "Jet Airliner" plus the top 40 hits, "Jungle Love" and "Swingtown". "Greatest Hits 1974-1978", a great collection album of classic tunes, was issued in 1978; over the years the set became one of the best-selling album of all time in America shifting over 13 million units in U.S. and another million in Canada. Lonnie Turner was replaced by Gerald Johnson before Steve Miller Band returned in 1981 with "Circle Of Love", the album reached the #26 spot on The Billboard 200 and went gold thanks to "Heart Like A Wheel" which hit #24 on the Pop Singles Sales and #17 on The Mainstream Rock charts; the album contained another Billboard's Hot 100 entrant, the title-song. The side-two was entirely occupied by the over-long track "Macho City". With the addition of guitarists Kenny Lee Lewis and John Massaro, the group recorded their twelfth album "Abracadabra"; released in June 1982, it climbed into the top 3 of The U.S. Pop Albums chart going platinum; the title-track shot to #1 on The Billboard Hot 100 and the follow-up single, "Give It Up", reached #60 on the same chart. 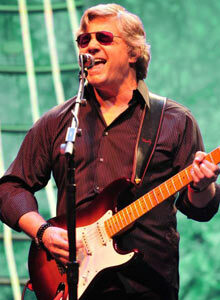 The next year appeared the excellent "Steve Miller Band: Live! ", making a mid-chart debut on the Billboard's Top 200 Albums list and both Massaro and Johnson departed. In November of 1984, Miller released "Italian X Rays" to relatively little attention; it failed to crack the upper half of The Billboard 200 and both its singles, "Shangri-La" and "Bongo Bongo", were marginal chart entry. The follow-up full-length disc, the much more Blues-oriented "Living In The 20th Century", was issued two years later and peaked at #65 on The Billboard 200 chart; this album yielded the hit "I Want To Make The World Turn Around" which topped The Mainstream Rock Tracks. The second single, "Nobody But You Baby", peaked at #9 on the same chart. In 1988 another single, "Ya Ya", cracked the top 10 of the Billboard's Mainstream Rock chart, it was taken from the album "Born 2B Blue", recorded with a completely new band and consisted of remakes of 10 jazz and blues standards. That same year, drummer and co-founder of the SMB, Tim Davis died, stricken by the effects of chronic diabetes. Steve Miller re-emerged in 1993 with "Wide River", the first album of his career on a label other than Capitol, at the time the band consisted of guitarist David Denny, bassist Billy Peterson, organist Ben Sidran, keyboardist Leo Sidran, tenor saxophone player Bob Malach, Blues harmonica great Norton Buffalo and drummer Gordy Knudtson. The album reached #85 on The Billboard 200 and the title-cut charmed its way into a respectable berth inside the top 10 of The Mainstream Rock chart. During the summer of 1995, Miller and Paul McCartney worked together recording several original tunes, subsequently the iconic singer + guitarist and his band continued to performing at sold out concerts throughout the United States selling over a million albums per year. "Bingo!" the Steve Miller Band's first studio record in 17 years, was issued in June 2010 on the guitarist's own Space Cowboy imprint; the album quickly broke into the top 40 of the The Billboard 200 and hit #1 on The Blues Albums chart. Opening track and first single, "Hey Yeah", bears all those classic elements familiar to '70s FM listeners. After the 2010's come back album Steve Miller Band followed that success with another album, "Let Your Hair Down". The disc, which came out in April 2011 via Space Cowboy/LoudandProud/Roadrunner Records, features the last recordings by harmonica virtuoso Norton Buffalo, Miller's “partner in harmony” for 33 years. Buffalo passed away on October 30, 2009, of brain and lung cancer.